Another Square Card, these have a SCALLOP edge! It's Noelle today with another square card! I can't get enough of these! I also love scallops. So a square scallop card?!?!?!?!? I think it is the GREATEST! I took these pictures in a group. I made all four of these along with a set of Thank You cards in no time at all! My original plan was to make them a gift but I have already sent them all out. I had the 1.5" squares custom cut in My Mind's Eye paper, then I stuck them on copy paper after inking them. Then I ran them through my CuttleBug with my label Spellbinder Nestability. I put them on with some pop dots and tied a ribbon FX on. [I think I got the roll from Michael's but that brand is what the roll says.] Then I took a small piece of the scrap paper from the squares that I had not thrown away yet and stuck it down so you could see it under the scallop. The stamp is from Stampendous. It was SO easy and quick. I can't wait to make a ton more of these because they are so easy to make, I think they are pretty too! I think I'll have these scallop cards cut in every color available so I can get a stash of cards and make sets to give as gifts! Thanks for stopping by today, Happy Shopping! Creative Cuts & More has one of my favorite shaped mini albums, the tag shape. This is the Tag Mini Album Set (5"x7"). I also used the Large #02 Tag and the Small #02 Tag in the colors Rosey and Thunder. I used papers, ribbons and chipboard mostly from Cosmo Cricket Earth Love line. Some of the chipboard and ribbon are from other Cosmo Cricket lines. Each page has tags that you can pull out. I haven't decided what I want to fill this mini album with yet. 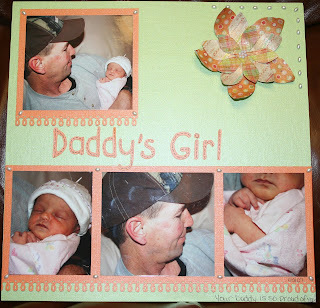 It would make a great anniversary or birthday album as you could put a picture on the page and journal a memory on the tag. I thought about filling it with pictures of family as I think Peyton would really enjoy looking at this mini with movement! After making all kinds of cute and pretty things, it was time for me to go in the opposite direction with a masculine card. This arch window card has a Thomas Kinkade scene stamped on the inside so it really does look like you are looking out a window. I used the A2 Arch Window die cut in a chocolate brown cardstock color. I brayered some brown ink onto the stamp to get the best impression and then stamped it on some ivory cardstock. This image works beautifully with these window cards from Creative Cuts and More. Once I was sure the ink was dry, I used a sponge to add a little Old Paper distress ink to age up the image a bit. 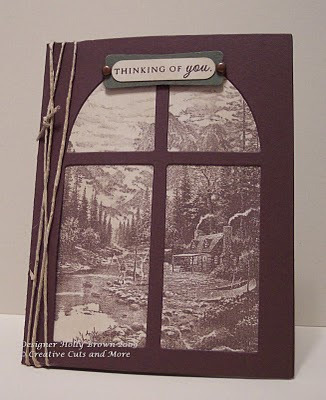 It is fun to pull out stamps that have scenes on them and use them with these arch window cards. Do you have scenic stamps hiding in your crafting space? Pull them out and order some A2 Arch Window die cuts and create some beautiful cards in no time. made into a beautiful Thank You gift box. I stamped a nice, cream colored piece of cardstock with polka dots and a sentiment then attached it to the bottom half of the craft colored diecut Crayon Box before I assembled it. I embellished the front with a stamped flower, ribbon, buttons and gems. It only needs one strip of Killer Red Tacky Tape along one edge (see flat blue box below) and then the bottom folds into itself.... just like the crayon box you had in elementary school. Visit Creative Cuts & More to see our HUGE assortment of diecut boxes, bags, embellies, cardstock and so much more! I will be working on in March. Click on the photos for more information!! It's Noelle posting today. I am posting for my sister Carla, who is busy moving. It is impossible to fill her creative shoes so I thought I'd WOW you guys with these gorgeous flowers! I had the large, medium and small flower cut in My Mind's Eye Just Dreamy paper. I sprayed them with Glimmer Mist and curled the edges of the petals. I glued them together and then put the pearls from the Rhinestone and Pearl Bling Kit in the middle. I seriously can not get enough of the bling in the kit. The Bling Tool makes it SO EASY to put the tiny little pieces where ever you want. I LOVE it! The border punch is a Martha Stewart that came with a corner punch. I can't recall the name, Loopy set maybe? All the paper except the flowers is Bazzil Bling. Daddy's Girl I cut with my Cricut, the font is Pooh. All the oval shaped pearls are also from Martha. If all that didn't WOW you, did you see how much my DH loves our Carlee Rae? That's why scrapbooking is so important to me. In 20 years Carlee will know how happy her Daddy was when she was born. Thanks for looking today, Carla will be back after she has moved and unpacked her stamp room! Hi, it's Lisa and I created this cute Cupcake Box to share with you today! Who wouldn't want to receive a beautiful cupcake in a fancy box! I used the Cupcake Box Set from Creative Cuts in More for today's project. The box base is cut from Bazzil Smoothies Chocolate Cream, the the lid from Bazzil Smoothies Watermelon Sensation. The pink panels are cut from a piece of Watermelon Sensations Smoothies to add under the layer of Basic Grey Bittersweet Pattern Paper to cover my sides. I used the Heart from Kitchen Sink Stamps Year Of Thanks II stamped in Pixie Pink to add some decoration to the lid. 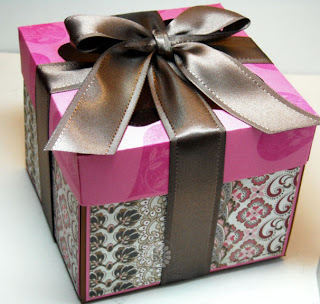 The box was tied with Chocoalte Satin Ribbon, I used the Bow Easy to finish of the Bow. These card frames are so FUN and PERFECT to create a different look in the window area. 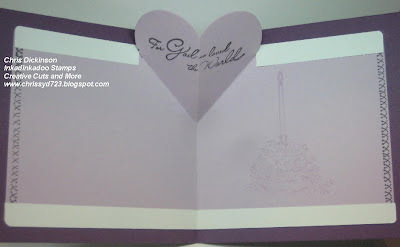 I know Terry has some other beautiful card too - in your choice of cardstock and colors! 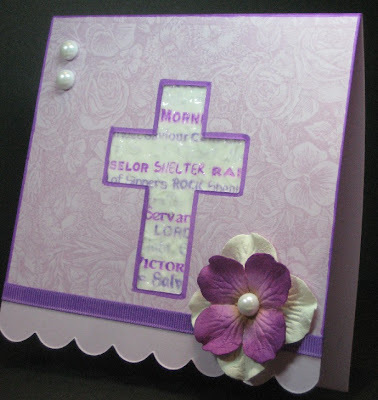 Another Cross card - perfect for Easter or Confirmation or even a Sympathy Card. How about this Little Dress card? How great would this be for a celebration or invitation to a formal or congratulations for an engagement? Now the last one I will share for now is this Star card. How great would this be for a Way to go card for a Basketball, or football player or another sports person? It could also be a fun Birthday card! So many possibilities! Check out the website! You will be sure to be inspired! This stamp is the one I stamped and did the technique on - I love it!!! I ordered it on line several years ago, but do not recall who I bought it from and it does not have the name of the company on the side of the wood. Hi everyone, it's Noelle here to share a fun card with you today! I actually made 8 of these at a crop last weekend. 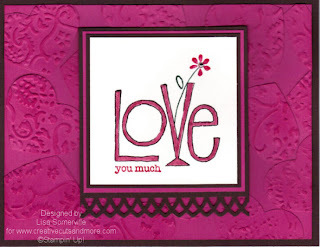 I love this square card from Creative Cuts & More! I also love the squares cut on this card. I had them cut on some My Mind's Eye Just Dreamy paper. I ran them through my Xyron X machine, they fit perfectly! Then I stuck them on and tied the brown ribbon on. Then I cut the label with a Spellbinder die, stamped on the butterfly and the sentiment and put it on with some pop-dots! Easy as pie! Oh and lots of chestnut roan Colorbox chalk ink! Last, but certainly not least I added Stickles! So if you are into quick and easy and want to make a set of cards to have on hand, head on over to CC&M and order some square cards. Hey everyone! It's Kayla here to share another one of my layouts with you. This layout has a lot of my favorites: brown, distressing, sewing and a large scalloped circle. I'm VERY addicted to these large Scallop Circles, they are so much fun! Here I used the Scallop Circle in Java I distressed the edges some and really like how it came out. Now for the flower. This was the Flower #06 - Small in Java and the lighter brown color that slips my mind at the moment. I inked the edges using my Colorbox Chalk Eye Dark Brown ink pad. I then covered them with Ranger Crackle Accents. Once they were completely dry I went over the top of them with a Creamy Brown Colorbox Chalk ink to take the shine away from the crackle medium. The crackle medium made them curl up a bit, which was perfect! I tried a 'new to me' fun technique of writing on the photo using my UniBall Signo pen. I also did lots of sewing. Other items used: Crate Paper and Die Cuts, American Crafts Thickers and unknown brad and scraps of paper. Thats it for me today! I hope you were inspired to get crafting! Thanks for stopping by. I hope you check back soon! Hello Die Cut Lovers!!! Today is our February Blog Hop! This month we are excited to show you some St. Patrick's Day and Easter projects! This is where it ALL BEGINS! So sit back and enjoy some Inspiration from our DesigN Team made with the High Quality Die Cuts from Creative Cuts and More. 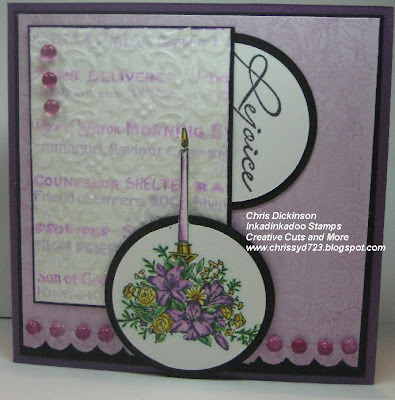 This card showcases the technique GLASSY EMBOSSING - from the February/March Technique Junkies Newsletter. This card uses Creative Cuts and More's Pop Up Heart card... All I had to do was decorate this card - so much fun! From here you will to HOP on over and get more Inspiration from the very talented Design Team! If for some reason one of the links is broken along the Hop do not worry, HOP back over to Die Cut Diva where the complete list will be. Holly Brown - GO HERE NEXT! Hey bloggers, Steph Zerbe here. Puff Box - Short cut from acetate. The Puff Box is real easy to assemble. I just used one strip of 1/4 in. Killer Red Tacky Tape. Then I used another strip of tacky tape to adhere the lace trim. Added a few flowers with glue dots and filled it with buttons. A crafty friend's dream gift!!! to make it easier to get to the assorted buttons. Many boxes and shapes can be cut from acetate. Hi, it's Lisa, and I've got a quick and easy project to share with you using Heart die cuts just in time for Valentine's Day. For my card, I used the new Mono Die Tutorial from the February TJNL and the Heart #02 - Mini die cut in Bazzil Watermelon Smoothies. The texture on the Hearts is from the CuttleBug Damask folder. The Hearts are embossed and layered on a Bazzil Watermelon Smoothies panel, then to the Chocolate base card. The image is Stampin' Up! 's Love you Much set. I inked the image in Markers, stamped on the White card stock, colored the image, than added an adhesive gem to the center of the flower.